Are you thinking about starting a new business? With the economy booming, there’s never been a better time to take advantage of the entrepreneurial spirit. Many people are learning the benefits of taking control of there lives by starting their own businesses. The good news is that you can too! As the seasons change and the weather begins to warm up, this could be the perfect time to consider doing work outside. After all, what could be better than spending your days in the fresh air and sunshine? In this article, we take a look at some outdoor business ideas that could put you on the fast track to self-employment. Keeping reading to see a few of the top outdoor small businesses that could help you start generating serious cash today. Everyone wants their home to look its best. Yet not everyone possesses the time or the skills necessary for landscaping. The great thing about starting a landscaping business is that lawns are everywhere and someone has to take care of them. That means job security. Are you motivated and hardworking? If so, this could be the perfect gig. Do you love dogs? Well, every dog needs fresh air and exercise every day, and yet many dog owners simply don’t have the time or energy to give their dogs the attention they need. It’s no secret that dogs love getting out and enjoying a long walk, smelling stuff, and socializing with people and other dogs. Providing a dog walking service is a win-win situation because you get to make money while spending time with four-legged furry friends all day. When the weather gets warm and the sun is shining, people start to spend more and more time in their backyard swimming pools. Keep in mind that pools have a way of attracting bugs and leaves and other nasty stuff, and they don’t clean themselves. Most people who own pools would rather focus on enjoying the water rather than spending hours cleaning crud from their pool or worrying about proper water treatment and care. They simply want to swim. This is your chance to step up and make serious cash doing the work they’d prefer to avoid. And depending on the part of the country you live in, running a pool cleaning business can be a full-time gig twelve months out of the year. Grass. It never stops growing. And somebody has to cut it. 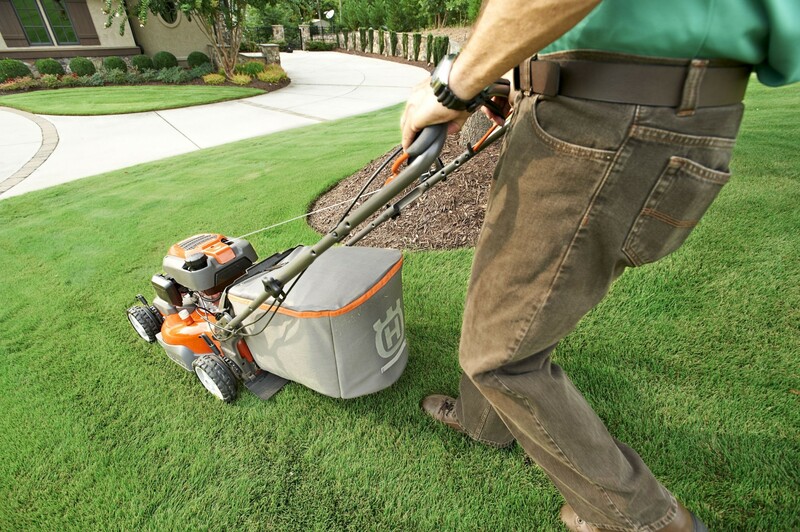 Lawn mowing is another household chore that many people would prefer to avoid if possible. After all, it requires spending time in the heat, working up a sweat and getting dirty. Running a lawn mowing service is a great way to make everyone happy. It requires no education, just a strong work ethic and the desire to make money providing a useful service. This is also a job that allows you to start small and grow your business gradually as you attract new customers and slowly increase your income. There will always be a need for people willing to cut grass, so why not take advantage of the demand while making a handsome profit doing so? No matter where you live, graffiti is an unfortunate part of life. For some strange reason, there are people who find pleasure in defacing private property with spray paint. Wherever you go it’s very common to see graffiti on buildings, bridges, parked cars, and many other surfaces. Graffiti also provides an opportunity to make money. Removing graffiti can be time-consuming and very hard work, and yet someone has to do it. This is where you come in. Starting a graffiti removal service can be the perfect opportunity to fill a need in every community. This is a way to make money while helping to make the city where you live look its very best. Window washing is a business that isn’t glamorous yet provides job security. After all, windows are everywhere, and all of them need to be cleaned. This is another business where it’s possible to start small and then grow as your client base and income grow. It’s also a job that doesn’t require education or any special training. All you really need to get started are a few supplies and a willingness to work hard. Believe it or not, a handyman service is a way to make a great living. People hire a handyman for a wide variety of reasons. Literally anything from installing a ceiling fan to replacing a doorknob, or making a million small renovations around the house. Being a handyman gives you flexibility and provides the opportunity to perform a ton of different tasks so that you’ll never have to worry about getting bored. You might spend a day repairing a roof, putting in a basketball goal in a driveway the next, and patching a hole in drywall the day after that. It might be warming up now, but eventually it will get cold out again and most people will want to stay inside. A snow clearing service can keep you busy for months. After all, when the snow piles up people still need to get to work. Clearing snow is hard work but is a perfect way to keep those sweet sweet Benjamins flowing into your wallet! If you’ve been considering investing in a street sweeper, you’ll definitely want to visit this page to learn more. The outdoor business ideas on this list provide great opportunities for anyone motivated to do the work. Believe it or not, there is a lot of money to be made doing jobs most people would rather avoid. So be creative, roll up your sleeve, and take control of your future by working for yourself! Click here to see a list of the best 15 small business tax tips for filing in 2019.